A multi-room music system is an effective and easy way to listen to the music you love wherever, and whenever, you choose. Rococo Systems are experts in multi-room systems and have been supplying and installing them for over 30 years. We provide customers with a range of music systems that allow them to play music throughout their home and have compiled a list of the best available. The Linn Knekt Multi-Room music system is the original multi-room system that was first supplied by Linn. Experienced in the multi-room sound system industry for over 20 years, Linn are reliable and offer product excellence. 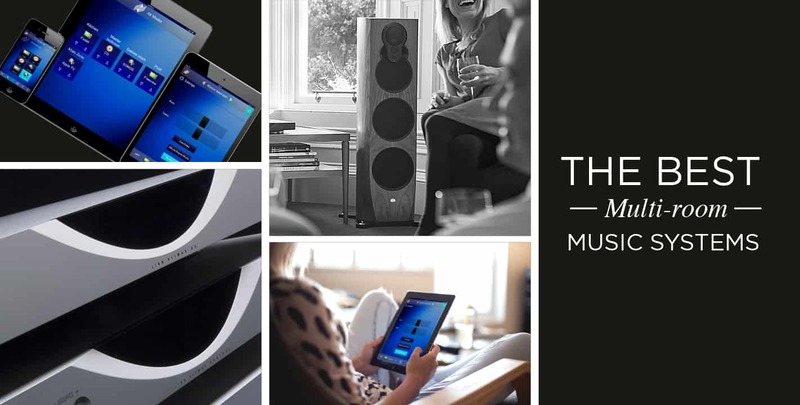 The Linn DS Multi-Room music system offers simplicity and flawless sound. All you need to do is install it in your home and connect it to your home network. Simply connect your Linn DS player in any room of your house, where you would like to listen to it, and enjoy its stunning sound. The Niles Auriel Multi-Room music system is another simple way to enjoy first-class sound in your home. The difference with the Niles, in comparison to the Linn, however, is the fact that the multi-room music system is a whole-home audio system, featuring an expandable, six-source, six zone audio control that operates throughout your home. With the Niles Auriel multi-room music system, you can listen to your choice of sound throughout your whole house. The Opus Multi-Room is a fantastic music system, but unfortunately Opus no longer trade in the UK. At Rococo Systems, however, we will assist you if you encounter any problems with your existing Opus Multi-Room. We can help you install a viable alternative and would encourage you to opt for the Niles Auriel Multi-Room or the Linn DS Multiroom instead. If you are interested in having a new multi-room music system installed in your home, just in time for Christmas and New Year, then please contact us online. Not only can we provide you with a fantastic, brand-new music system, we can also repair, service and replace any existing ones. Simply give us a call on 01277 890 888 or 020 7454 1234 for more information on any of the multi-room entertainment systems that Rococo provide.